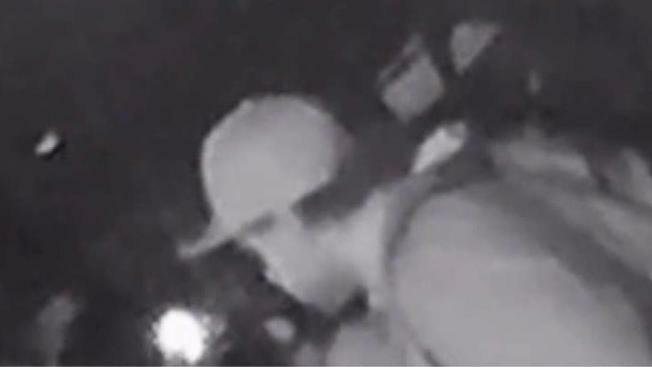 Thieves were caught on camera breaking into cars repeatedly in one San Jose neighborhood over the past two months. Now, the victims are hoping their surveillance video will help police catch the suspects. The surveillance footage shows a number of break-ins going back as far as November, and the thieves seem to have a system down pat. The suspects ride up on bicycles, use their flashlights to look inside the vehicles, circle around to make sure no one is seeing them and then quickly strike, breaking windows and riding off with valuables. Victim Mary Nowell said her car was one of three broken into Sunday night. Thieves smashed out her windows and rifled through her glove compartment and middle console. "I was really shocked, coming back to a spot where I'd left my car many times before," Nowell said. It happened just before 10 p.m. near the intersection of McEvoy Street and Dupont Avenue in downtown San Jose. After watching the surveillance video, Nowell said the suspects seemed professional. "They're riding their bikes. They have a very thought-out routine ... and get in and get out very quickly," she said. Nowell said some of her neighbors told her the number of break-ins in that area seems to be on a recent uptick. She is hoping the video can help police track down the thieves. "I'm hoping that these guys get caught," she said. "That this stops so no one else has to feel violated." Nowell is hoping to get the surveillance video to investigators Tuesday.